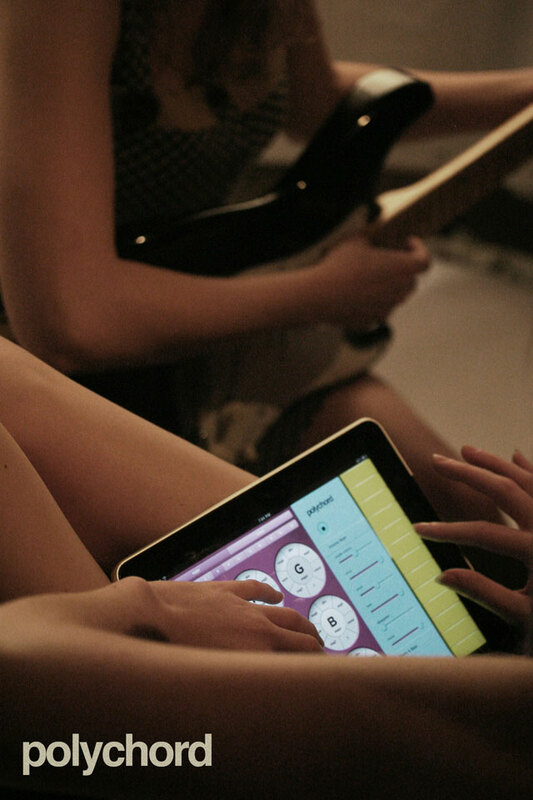 I designed and engineered Polychord — an iPad music-making app — in 2010. Shortly thereafter it was featured by Apple. It went on to become one of the top selling music apps on iTunes. You play Polychord by pressing one of the chord circles, and sliding your finger along the 'strum keys'. The chords are all in the same musical key, so you can button mash and still sound good. For experienced song writers, it's a way to explore and come up with new ideas. One of Polychord's biggest strengths is that it can play other digital instruments through MIDI — a standard for connecting synthesizers and drum machines. 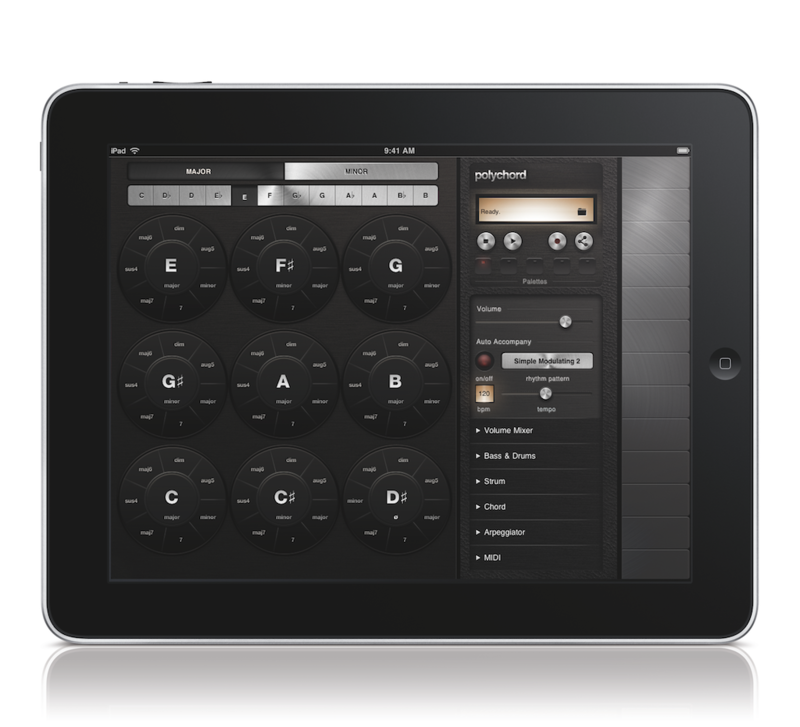 Polychord was one of the earliest iPad apps, which meant everything would be made from scratch. The sound synthesis engine proved challenging, leading me into the low-level depths of Core Audio so that I could squeeze every bit of performance out of the first-gen iPad. Design happened in parallel to engineering, and was iterative. 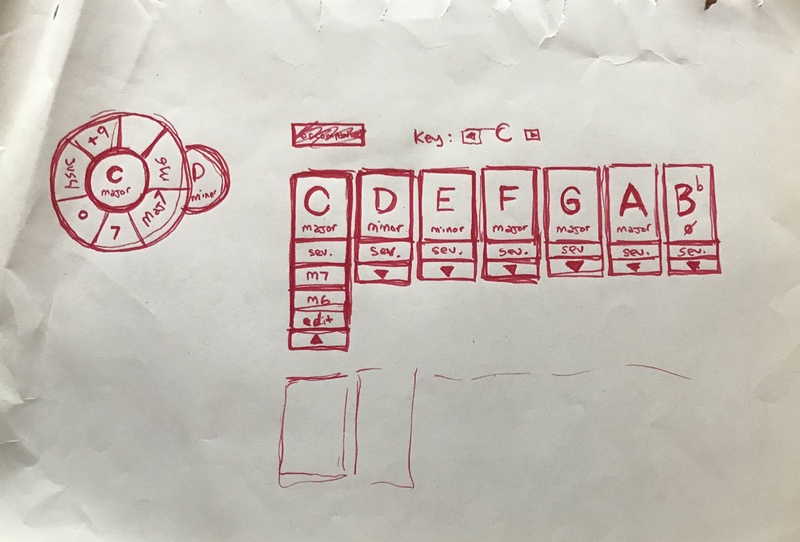 I would sketch a layout, sometimes mock something in Photoshop, and get a rough version working in code as soon as possible. After showing it to people, I'd learn what worked and what didn't, and the process repeated. Building the initial version took about six months. Then I had to distribute it to the App Store, market it, build a website, and maintain the app through updates. Polychord is used today by musicians around the world. Some completely new to music, and some looking for songwriting inspiration. My friend Jesse Novak slipped some Polychord tunes into a no-dialogue episode of BoJack Horseman.